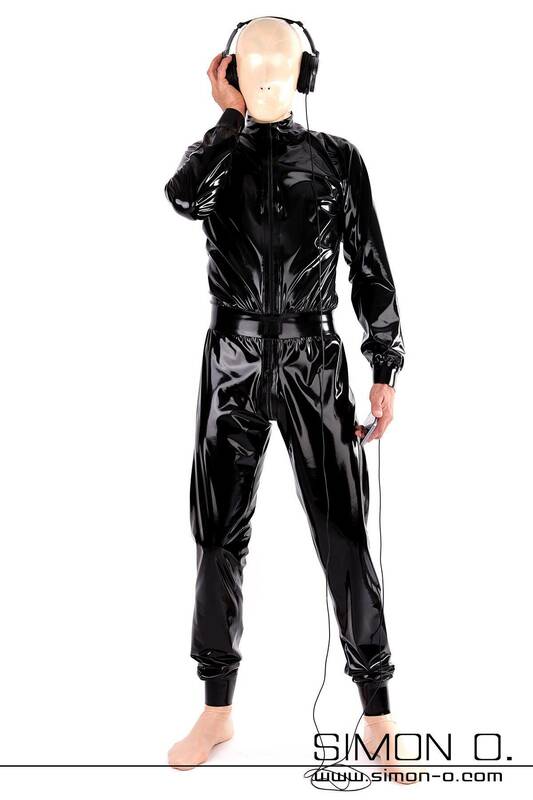 When you slip on this pleasantly loose latex catsuit, you will be dressed in your favourite latex fetish wear in just under 10 seconds. The chlorinated version will give you an unforgettable wearing experience. This is a loose-cut latex catsuit which you can enjoy as a lounge suit or sleep suit to feel the feeling of latex against against your skin and relax. Or just as quickly as you want, for sensual moments in latex. Our catsuits are made with the finest latex and glued with double edged reinforced waistband. Cuffs and leg cuffs are also made of thick latex. The entrance zipper is at the front and the handy zipper in the crotch area makes for more fun with this latex jumpsuit.